A 1958 Magnette that we rescued from a backyard in Easley, SC. It is a wonderful car, rides great, handles great, looks great and is very comfortable. It is probably the nicest and the best looking saloon that MG built. A real classic with style. July 31, 2008, 8:12 p.m.
March 17, 2011, 9:46 p.m. 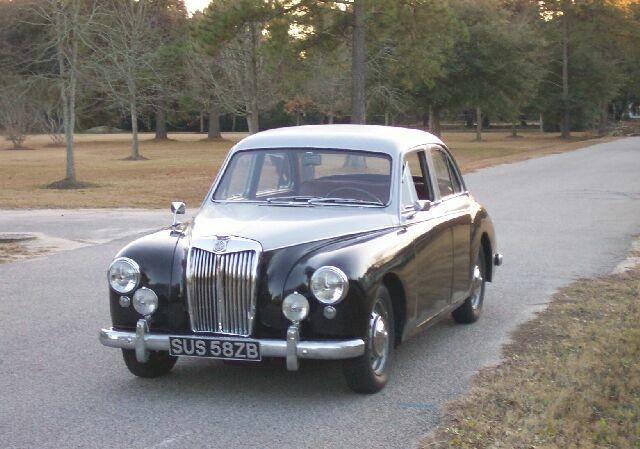 In the early '60's, I strongly desired a Magnette like yours for a daily driver. Wouldn't mind having one now! April 14, 2011, 3:37 p.m. I've upgraded it with an early 3-main 1800 and front disk brakes, those two upgrades transform the car, making it even more fun to drive.